Every love story that I photograph is special to me. Each person that steps before me and my lens teaches me something new. Sierra and Shaun reminded me of the love you hear about in songs and read about in books. Their love is simply radiant. Not everyone is lucky enough to find their soulmate, but it is so easy to see that these two are the lucky ones. 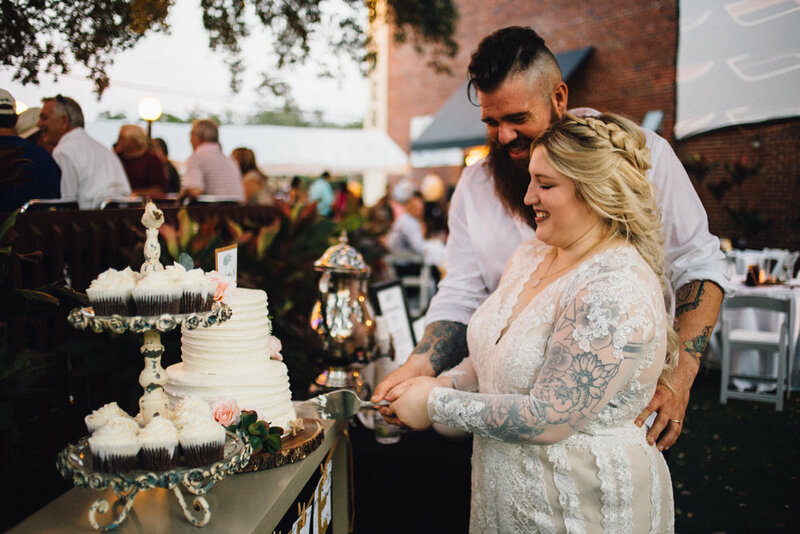 Sierra and Shaun said, "I do," at Motorworks Brewing in Bradenton, Florida. 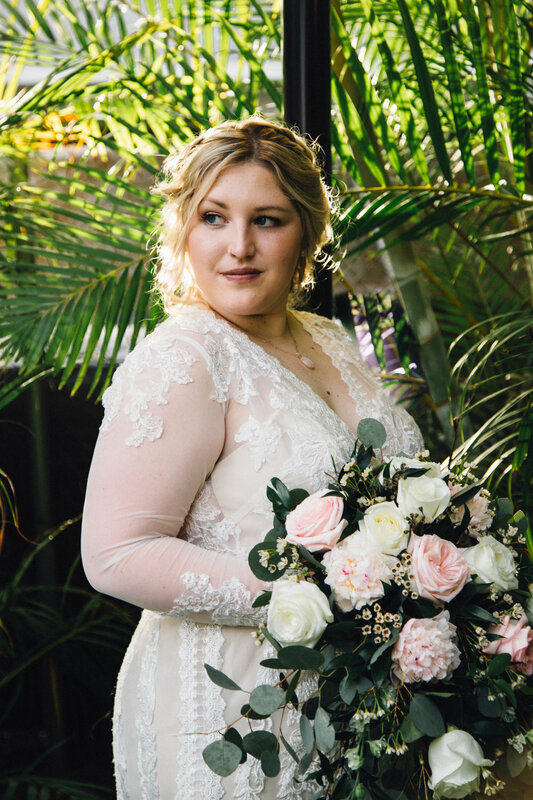 Blush tones and shades of green accompanied the intimate feel of their big day in an effortless way. With decor made by Sierra, her mama and sister, the brick venue looked like something off of Green Wedding Shoes! Oh and did I mention... The newlyweds are in a band with the Fee brothers called Bright Bones. Take a listen to their track Hold Me Closer while you're here! I've known Sierra for a few years now and I am so ecstatic that she found her husband, Shaun. My heart was full and my eyes kept filling up with tears watching a love like this. 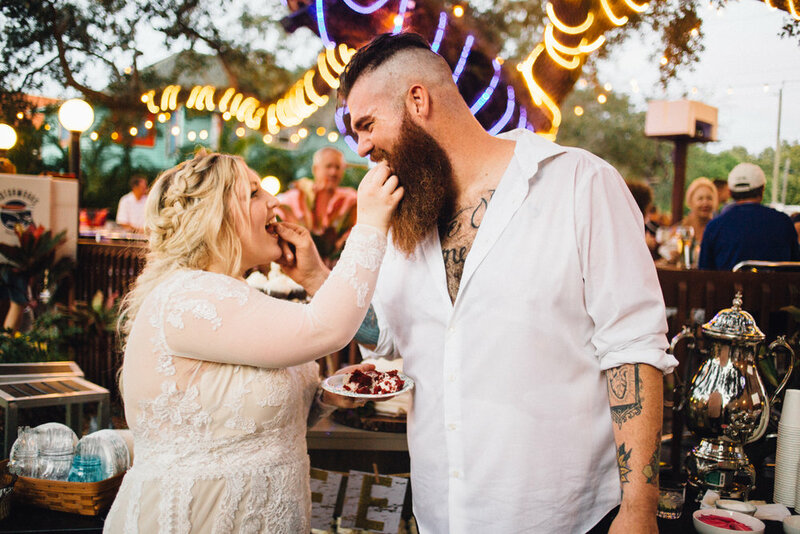 I couldn't have imagined a more perfect day for these two love birds. It's an amazing thing when my work and life collide and I get to witness true bliss for my friends. Congrats to the beautiful couple, Mr. and Mrs. Fee! If you are interested in getting in touch with me for collaborations or investments, visit allisababor.com or send me an email at hello@moredetours.com.